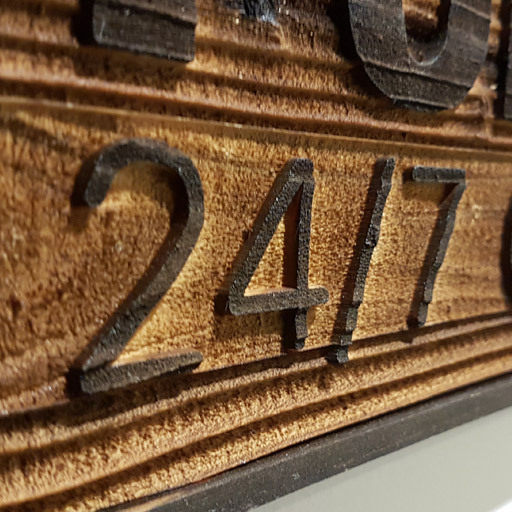 Engraving is the process of marking various materials by removing (routing) the top surface with a rotary engraver or by burning out the top surface with a laser engraver. We are equipped with several machines capable of engraving almost any material (plastic, wood, metal, leather, glass, stone). The largest material size we can handle on our CNC machine is 4ft x 10ft. Final finishes vary depending on the material and the process used. Engraved areas can also be colour filled.